At first glance, wood fencing can seem like a cheap and attractive option for your new fence, but with careful consideration, you’ll see that it’s just not the best option for most South Florida homeowners. The perfect alternative to a wood fence is a vinyl fence, a chemically engineered fencing material produced to be resilient to ultraviolet light and other naturally corrosive elements. 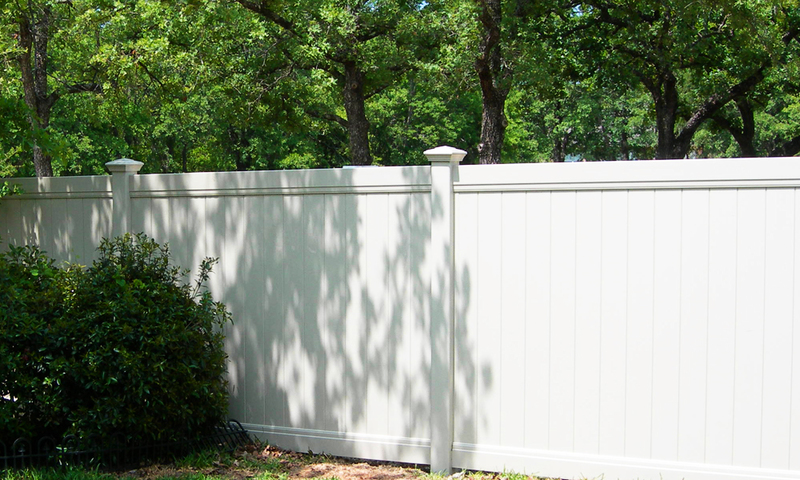 This article will discuss several of the pros of vinyl fencing and the cons of wood fencing. Most wood fences look beautiful when they are initially installed, a natural look is simply something you can’t attain with other fencing materials. But that new wood look doesn’t last very long. After a few months of humidity, mold and salt air, the light brown hue of a new wood fence fades to a dismal brown and green. To maintain a decent look to your new fence, you’re going to need to paint, stain and replace rotted parts on a usual basis. This type of maintenance is costly, and over the lifetime of your few, you’ll typically double the initial cost in continued upkeep. Florida is a peninsular state, so no matter where you live in South Florida, you’re at the whim of constant rainfall, wind, salt-air and stifling humidity. Anyone of these elements alone can wreak havoc on a natural material like wood, but all of them combined tend to devastate any wood fence over time. I’m sure you’ve driven through South Florida neighborhoods and noticed just how numerous properties surrounded by dilapidated and degraded wood fences there are. You definitely do not want to be one of those homeowners, right? If you’ve lived in South Florida for any amount of time, you’ve most likely experienced some sort of tropical storm or hurricane. Some hurricanes are especially destructive, in those cases, any outdoor structures like fences are typically the first to be destroyed. 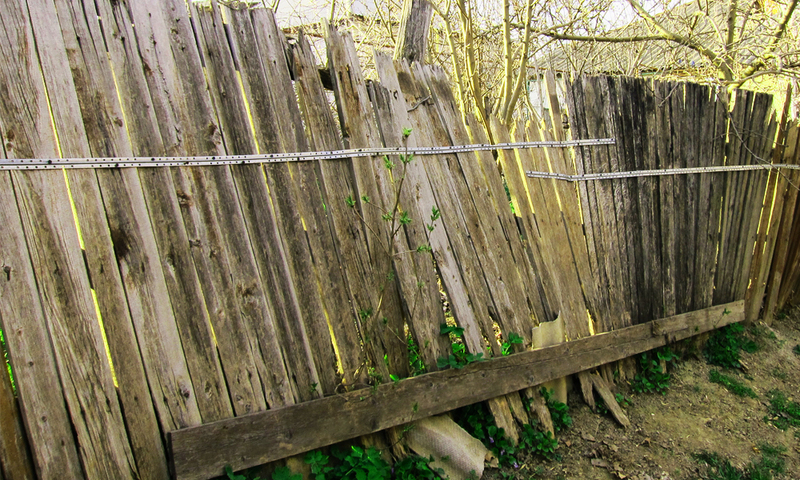 Wood fences are almost always damaged or completed devastated by windstorms. Not only are the winds themselves dangerous, but the debris freed from them can be much more catastrophic. In a matter of hours, your fence that cost thousands of dollars could potentially disappear. Vinyl fence, otherwise known as PVC fence (polyvinyl chloride), is a type of fencing that is engineered and stringently tested to be incredibly resistant to ultraviolet lighting, sphere impacts, wind erosion, and water damage. It’s essentially a chemically enhanced super-fence. Once you install a vinyl fence on your South Florida property, you’ll almost never need to touch it unless you’re wiping some stray dirt of mud off the surface. Just a simple rag and some mineral spirits will renew even a 20-year-old vinyl fence to pristine condition. A wood fence can be attractive if you want to save on your fencing budget initially, but after years of maintenance and parts replacements, a wood fence can cost as much or even more than a vinyl fence of comparable specifications. Everything you buy for your property is an investment in the future, buying an asset that severely depreciates like a wooden fence just isn’t fiscally responsible. There are two grades of vinyl fencing materials, standard grade, and commercial grade. The inferior grade is still far superior to any wooden fence, but the commercial grade is engineered to pass specific hurricane zone requirements. The components of hurricane zone vinyl fencing are twice as thick as normal components, and as a system, they are tested against extremely strong wind gusts and sphere impacts. Vinyl fencing that passes tests of this nature is certified with special paperwork that allows contractors and homeowners to obtain permits for vinyl fences in hurricane zone rated areas such as Miami-Dade and Monroe County.